Laboratory safety should be first priority. Lab managers must develop effective training programs, best-practices, and safety audits to minimize risk. A lot goes into maintaining a safe working environment. Here is a list of 10 quick lab safety tips to help you along. There is never a better time than now (excuse the cliché) to evaluate your laboratory safety procedures. For larger facilities, this can be a daunting task but necessary nonetheless. Regardless of lab size, the team at M2 Scientifics has put together this list of 10 quick laboratory safety tips. After you’ve reviewed each of them, you can begin implementation by completing a simple audit. Create a checklist of all 10 and check compliance. Are you in compliance for all of them? Great job! But if not, no worries. Put into practice these quick tips and you’ll be a safety pro in no time! The new KT series combines outstanding performance with impressive energy efficiency and environmental friendliness. 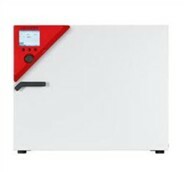 The incubators with Peltier technology are state-of-the-art in application and protect the samples. Read more about the KT Series on the BINDER website. The remarkable new UltraWAVE features Milestone’s unique SRC technology in a fully automated benchtop package. Through advanced design and engineering, Milestone has been able to reduce the size of SRC technology, resulting in a small benchtop unit that can fit in even the smallest lab. 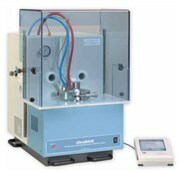 UltraWAVE digests up to 15 samples – of any matrix – simultaneously. No need to batch samples of the same type into separate runs. Eliminates labor associated with assembly/disassembly of digestion vessels – simply weigh the sample into a glass vial, add acid and place into the sample rack. The unit runs fine, but when the run is over and you open the lid, it gives an error 83. The lid IS opening with no problem, so why the error code? Advise this member. I am looking for information on an economical and efficient way to mix small batches of reagents (20 liters). Any thoughts would be great. Does not have to be a sterile environment, not pharmaceuticals. Advise this member. I would like to know about the Agilent 2100 Bioanalyzer. IS there any way we can estimate the performance of the BA machine? We generally use DNA HS and RNA [pico and Nano] chips. Advise this member. Anton Paar Heavy Duty Refractometers - "Dinner Spot"
The Anton Paar Heavy Duty Refractometers are extremely robust and waterproof. Watch the video here. Agena Bioscience™ today introduced the Chip prep module to automate sample handling after PCR for the MassARRAY® 96-well System. This enables laboratories to operate the MassARRAY System largely unattended for high-throughput, multiplex genetic analysis. Read more. Analytik Jena AG is the world’s first company to bring to the market a kit with CE-IVD certification for the molecular diagnostic quantification of hepatitis delta virus (HDV) RNA, thus reaching a major new milestone in the standardization of HDV nucleic acid amplification tests. Read more. A patented manufacturing process, using a ‘two-shot’ mould, provides clear, individual wells in an opaque matrix. The special design of the plate totally eliminates the well-to-well optical crosstalk inherent with other clear bottomed microplate designs, giving unmatched accuracy, sensitivity and repeatability of photometric readings. Read more. An independent, family-owned company, LECO is dedicated to serving their customers—from concept to design, development to manufacture, to customer service and support after the sale. The Global Support Center provides service and support after the sale of your instrument, as well as customer training courses, and the only fleet of mobile laboratories in North America featuring hands-on experience with LECO products and specialists. A global network of sales and support professionals, along with CE testing performed at an on-site compliance testing center, help strengthen a commitment to worldwide excellence. The lid latch drive and switches are all ok. Can you provide the power board CKT diagram to troubleshoot the component level. Advise this member. Can anyone help me with installation of hardware? I want to hook up a scale to our BioFlo, but the system won't pick up the hardware with the scan function. I was able to install a driver for the scale, but still nothing shows up upon scan. Advise this member.